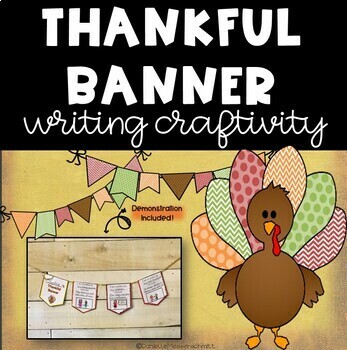 This Thanksgiving banner is a fun craftivity that combines writing and art! 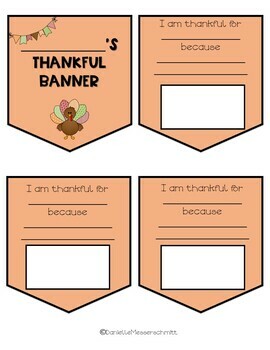 Students will be able to think about the things they are thankful for, write about them, and then cut, color, and create a banner. 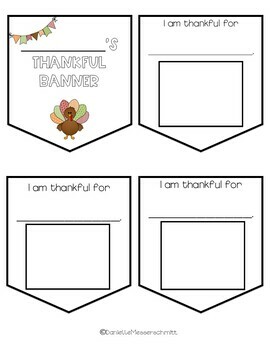 This banner will be a beautiful take-home project for the holiday or even a great seasonal bulletin board display! 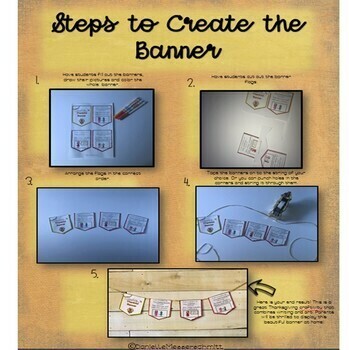 This resource is differentiated for different grade levels or for students with different learning needs.